Artek’s Chair 66, designed in 1935, is one of the most popular dining chairs of Alvar Aalto and part of the permanent collection of MoMA, The Museum of Modern Art in New York. The timeless chair features Aalto’s patented L-leg structure, which allows the legs to be attached directly to the round seat. 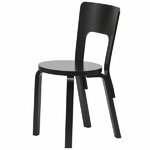 Compared to his other dining chairs, Chair 66 has a higher backrest that makes it comfortable to sit on and gives the design its distinct look. Comes flat-packed. A lower model is available as a special order, please contact our customer service for details. Alvar Aalto (1898-1976) is probably the most famous Finnish architect and designer in the world. In 1921 Alvar Aalto got the Diploma of Architecture at the Helsinki Institute of Technology and his career as an architect started. One of the most important works he was commissioned was the planning of the tuberculosis sanatorium in Paimio, Finland. This project meant also the beginning of Aalto’s career as a furniture designer – in fact, this was the first building planned by Aalto which was entirely furnished with pieces of furniture designed by Aalto himself – including the lighting as well. Other important projects completed by Alvar Aalto are the Viipuri Municipal Library, Villa Mairea, La Maison Carré and the Finnish Pavilions for the 1937 Paris and 1939 New York World Fairs. 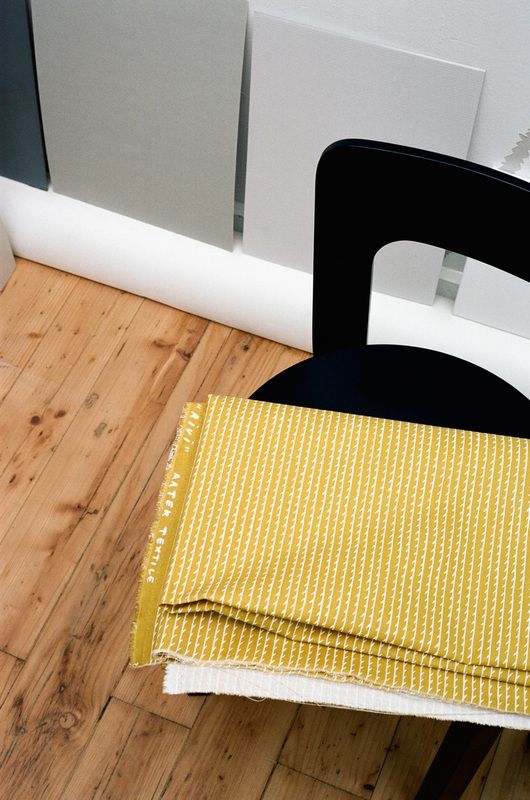 In 1935 Alvar Aalto, together with Aino Aalto, Maire Gullichsen and Nils-Gustav Hahl, founded Artek, a world-renowned furniture and lighting company. The company was created "to sell furniture" – designed by Alvar Aalto – "and to promote modern culture of habitation by exhibitions and other means". One of the most ingenious innovations by Alvar Aalto is the L-leg, patented in 1933. Aalto considered his L-leg design his greatest achievement and even compared it to the invention of the architectonic column. Thanks to this innovation, the legs could be attached directly to the table, chair and stool tops. Alvar Aalto was a versatile designer whose work covered different fields. He is well-known also for his elegant lamps, which very often were designed for individual construction projects and later on adapted for the serial production. Alvar Aalto was also an esteemed glass designer and his most famous work as a glass designer is the Aalto vase (or Savoy vase) – one of the most iconic glassware pieces in Finnish design.